Will grow up to 35 ft tall in ideal conditions, this bamboo features a beautiful black culms, and feathery green leaves. This bamboo is one of the most popular for landscaping as the culms will grow in an open clump pattern, 6-12” apart. In ideal conditions, this bamboo will grow up to 55ft tall, with dense clump patterns, and culms in 4” diameters. This clumping bamboo is great for privacy landscaping and can be maintained at 8 - 10 ft heights. With 8 inch culm diameter, and heights reaching 78 ft, this bamboo produces beautiful light and dark green striped culms, and large leaves. 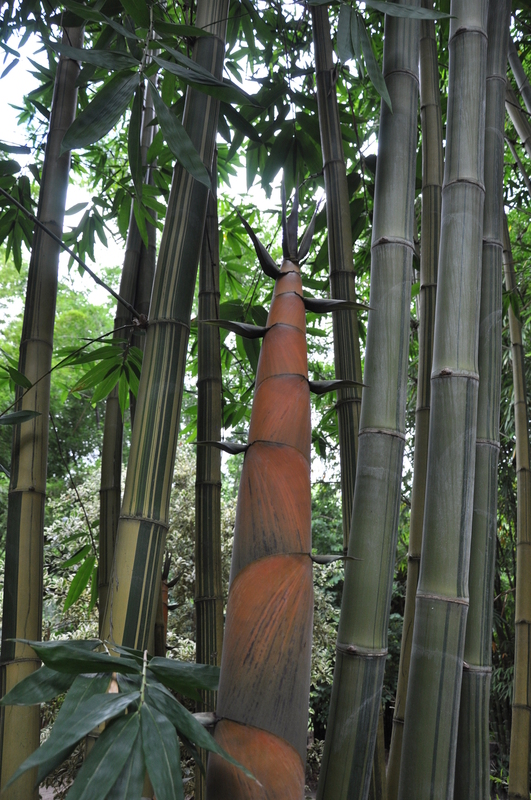 One of the most cultivated ornamental bamboos in the world, Vittata, or Painted Bamboo, has bright yellow culms with narrow and broad green stripes. Can reach heights of 50 ft.